Central bankers around the globe have been trying to create inflation for several years now. Thanks to new inflationary readings coming out of Britain, they may finally be getting more of it than what they wanted. Concerns about such inflation and other tail risks to the world economy have also pushed investors to the highest levels of cash seen since 9/11 this past week. Among these tail risks is the danger of contagion that Deutsche Bank's continued problems threaten to bring to banks in the United States and around the world. 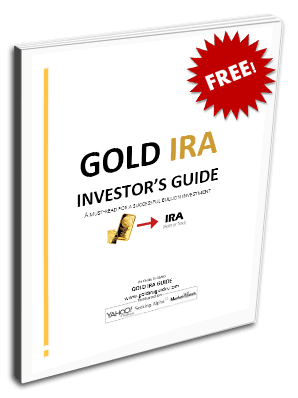 All of these events are bullish for your gold retirement holdings. Bank of England officials have been watching with concern for the effects of Brexit and the falling pound sterling on inflation in the U.K. After years of targeting a substantially higher 2 percent inflation level, they may have finally got what they claimed to have wanted. The September inflation data revealed a higher than expected 1.0 percent rise on a year over year basis. The consensus prediction had been for .9 percent higher. As such, it is the highest inflation increase in a month since that seen in June of 2014, as well as the highest recorded level since November of 2014. Driving the inflationary numbers higher were rising costs in clothing, hotel night prices, and fuel and gas costs. The Bank of England claims (along with other central banks around the world) to be on a quest to restore 2 percent target annual inflation. The sharp jump in the numbers over the past few months with beliefs that the trend will only accelerate is making the job for the British central bank harder. Now they have to walk a fine line between keeping rising inflation under check and making sure that they do not raise the rates too high too quickly and stifle growth. Bank of England Monetary Policy Committee (MPC) member Kristin Forbes has warned about the dangers of inflation sharply overshooting targets in the future several years. Ten year British debt gilts are already reflecting these worries, having jumped dramatically from the low yield in mid August of .501 percent to 1.127 percent last week. The survey shows that investors have higher expectations for inflation than at any point in the last 15 months. Fears of stagflation have also achieved a level not seen since April of 2013. Some of this at least has been encouraged by the inflationary events going on in Britain with their currency. For the last few weeks, Deutsche Bank has struggled to do damage control with the announcement in September that the U.S. Justice Department had fined it $14 billion as punishment for their methods of selling mortgage bonds before the financial crisis erupted in earnest. The largest German bank has continued unsuccessfully to attempt to negotiate a lower fine settlement and appears like it will need additional capital. The German government has only made things worse for the bank when it recently announced that it will not support Deutsche Bank in efforts to sell new stock. This past week, yet another rumor dogged the troubled European-based global financial institution. Reports emerged that Deutsche Bank has strongly considered downsizing the size of its American Corporate and Investment Banking unit in order to reduce the substantial amount of capital it requires. The reason for this would be to free up money for the escalating legal costs and fines. This has sparked conjecture that the bank is quitting Wall Street. Deutsche Bank has responded by insisting that it has no plans to close out its U.S. investment banking arm. Yet the bank is broadly restructuring its business and cutting jobs and other costs, in light of the fact that bank CEO John Cryan has informed investors he will not pursue raising additional capital. The bank's Head of CIB Alasdair Warren has tried to allay fears that clients will abandon the bank in its difficulties. Meanwhile, analysts have suggested that Deutsche Bank's troubles could easily feed into American bank prospects and profitability if they continue. Add these concerns to the worries of a crash in the bond markets and to rising inflation in Britain and beyond, and you can see why investors are looking to hold more cash and also gold amidst the rising global crisis in confidence.